The Ganz Danubius Ship- and Floatingcrane Engineering Office (HUTI) has a young, dynamic engineer team, which provides creative and custom tailored solutions and services for the customers. Our special activities are to build splitbarges and floating cranes, and the modernization of old Ganz floating cranes and ships. Furthermore, our activity incorporates to design and build of any type of floating objects or lifting gear. 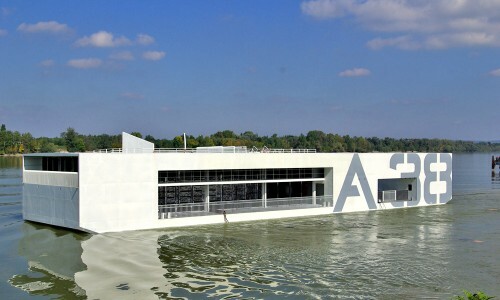 We are also dealing modernization and conversion of any vessel. 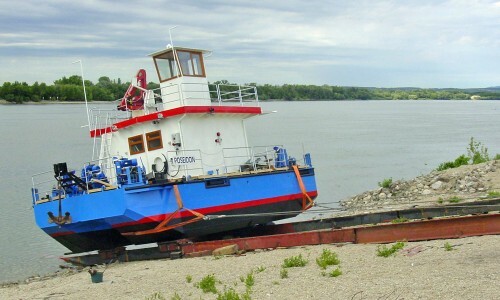 Modernization is a cost effective way to equip an old vessel with modern features. 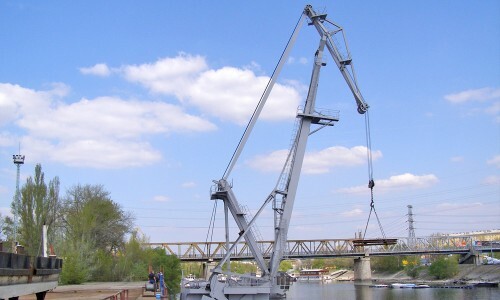 We are experienced in the renewal of old Ganz Danubius or other floating cranes, cranes, or any type of floating objects. If you are operating an old Ganz floating crane you may be interested in our special service provided for these floating cranes: We can deliver a number of spare parts you may need during maintenance or repair tasks. In some cases more or less modification is necessary when you are installing new components on your old crane. We can also assist you in these situations. Ganz Danubius HUTI Ltd. provides creative, custom tailored and cost efficient engineering solutions. 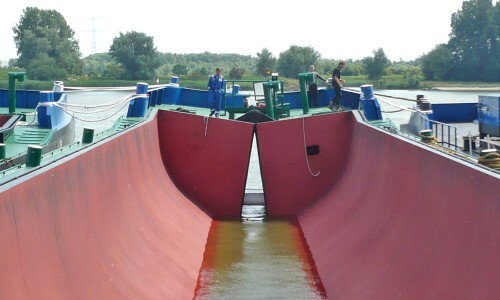 Our team comprise young but experienced naval architects who have unique skills in such special areas as hull form design, structural design, FEM (finite element method) strength analysis, mechanical engineering, support and organization of manufacturing and so on. Our activity covers the design from concept to the details, preparation of plans for class approval and the workshop, field engineering during newbuilding and reconstruction works.